Possiblity of sewing to size. White, jacquard net curtain would be the best choice for a living room. Has a wide strip at the bottom. It can be easily hung with curtain clips. Usable width: 300 - 450 cm. 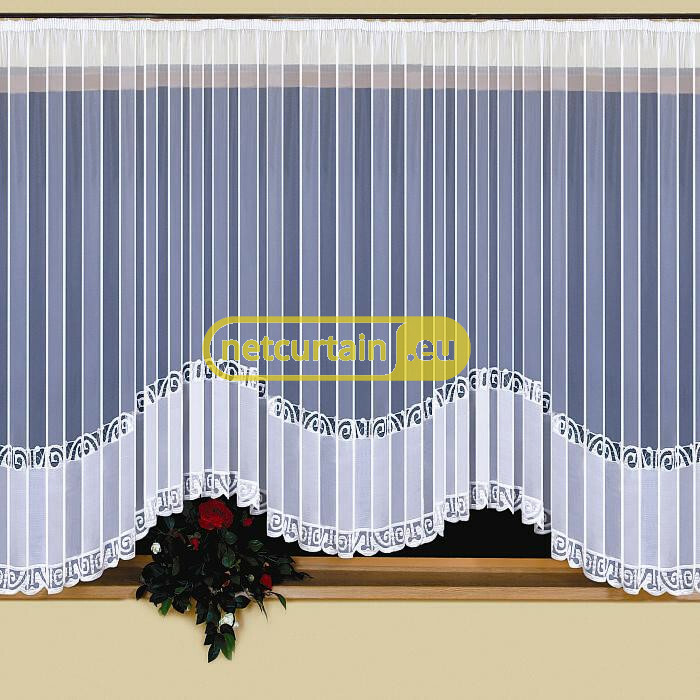 White jacquard net curtain suitable for different types of rooms.